The Microsoft I-Café Program was launched in the last week of January 2010 so its terms must be clear by now for those i-café owners who were following this blog and/or the discussions about it at various web forums. There were also i-café owners who attended the MS I-Café Program roadshows held in the different parts of the country since its launch. The program is aimed at legalizing the existing pirated MS operating systems (OS) and productivity suite being used by i-cafés. The prices of Windows 7 Professional and MS Office 2007 as offered under the program are the lowest ever and available until May 26, 2010. I understand that there were i-café owners who already availed of the program but some are still waiting for Microsoft’s clarification on the issue of using genuine XP Home OS in i-cafés which I blogged about at Disallowing The Use Of XP Home In I-Cafés. Microsoft XP Pro, Microsoft Vista Professional or Microsoft Windows 7 Pro is the only version of software that can be used to rent-out in conjunction with Rental Rights Agreement. . . . . 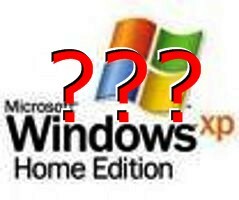 If your Rental Rights Agreement has expired and you currently have the non-Professional edition of Windows, you will soon receive a communication from Microsoft regarding your expired RRA. . . .
Those currently using genuine XP Home with valid IRRA can use it legally till its end of life. Those currently using genuine XP Home with expired IRRA has until next year to use it legally. Those currently using genuine XP Home but never applied for IRRA are now using the software illegally or should I say that when they did not apply for IRRA, they were already using it illegally since then because of the terms in its EULA. The FAQs section of the Microsoft I-Café Program says that if you have any question regarding the program, you may send an email to phassist@microsoft.com for assistance. Check my my new blog bro.